"Beautiful west facing rambler with a walkout basement on a .33 acre lot in a quiet neighborhood. Vaulted ceilings, 3 car garage, extra-large RV pad, new LVT flooring, and a covered deck with a great view are just some of the amazing features of this home." "If you're looking for a great home located in a quiet cul de sac... stop now! You've arrived. 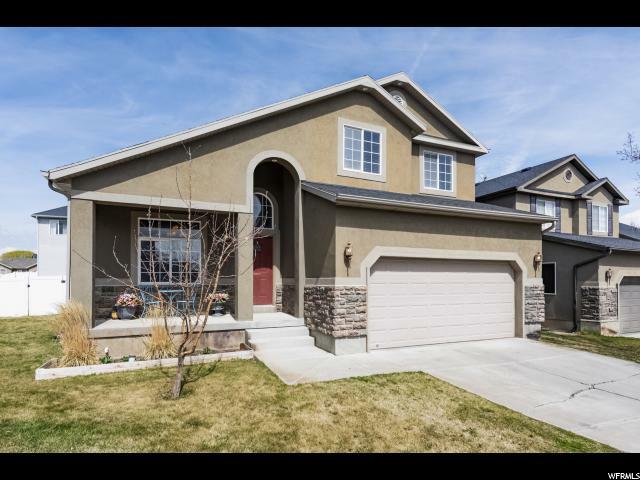 This home is move in ready with room to grow in the basement. Vaulted ceilings and a welcoming open floor plan on the main level. Enjoy the roomy master bedroom, jetted tub, and walk-in closet on the daily. 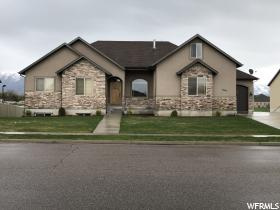 Located just off I-15, close to Silicon Slopes, Thanksgiving Point, and dozens of restaurants within walking distance. Spend time exploring the neighborhood with the many walking trails throughout, enjoying what this peaceful area has to offer. Home and lot are one of the larger ones in the neighborhood. Get it while you can!! Square footage figures are provided as a courtesy estimate only and were obtained from tax data. Buyer is advised to obtain an independent measurement. All information herein is deemed reliable, but not guaranteed. Agent and Buyer to very all info."